Arrange Your Event in Edinburgh with Us! Whether you are arranging a business event, private family celebration or a community organised function, it can be hard to find the right venue and the right services. With Vittoria On The Walk, you can have it all with our private function room facilities. 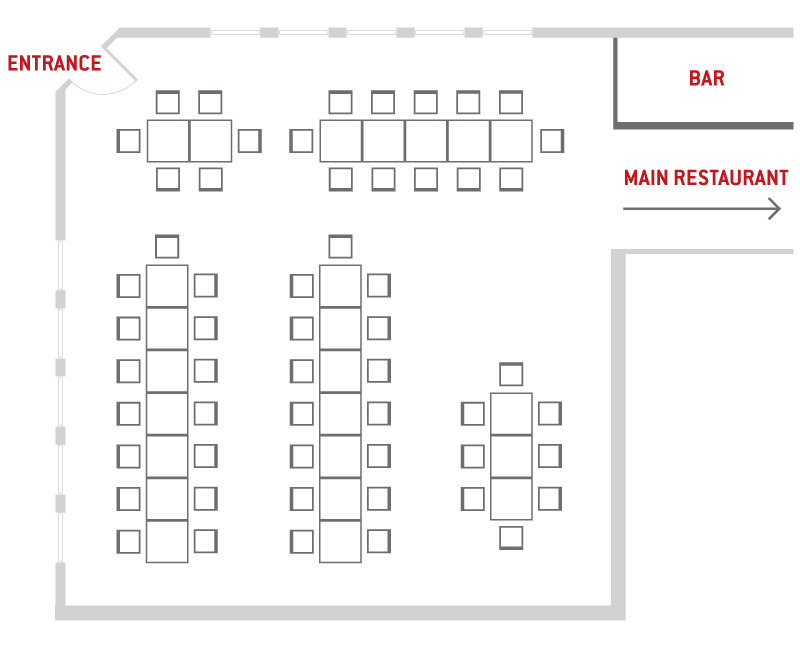 Seating up to 50 guests and offering, outstanding service, private bar, and all of the digital, presentation and music equipment you could require. Our skilled event managers can help you through every step ensuring the arrangements are all made to suit your unique needs. 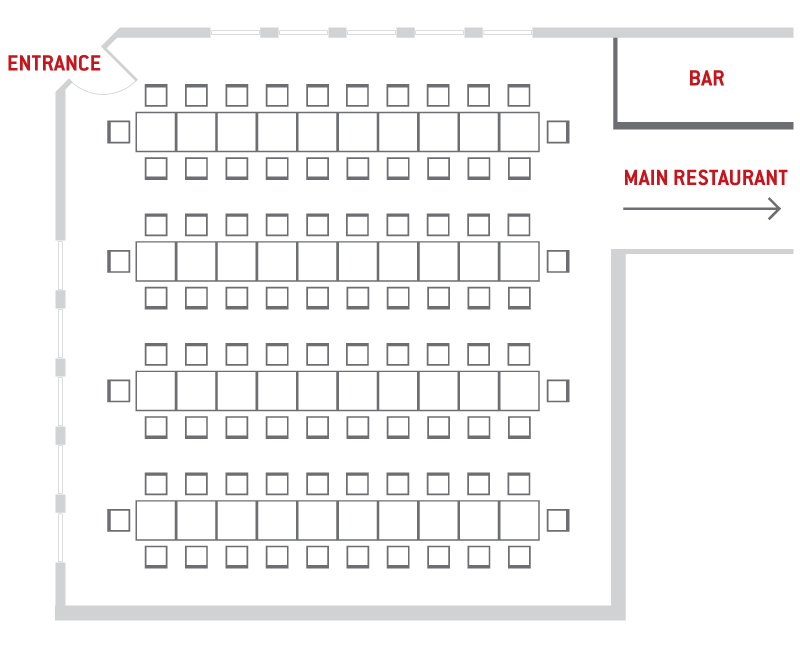 Below is an indicative plan showing layout of the function room. 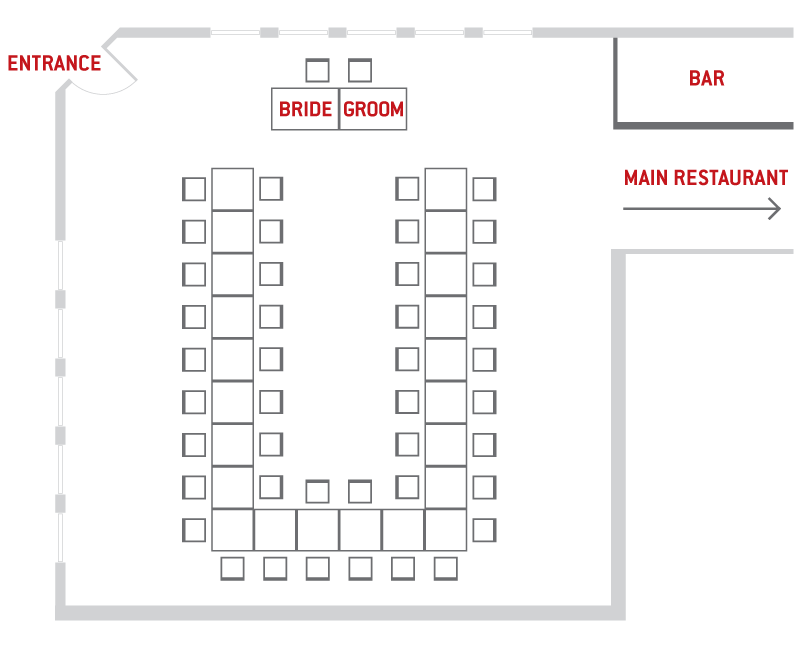 We are happy to configure the room to suit your requirements and do not charge a venue hire fee like many other Edinburgh function room facilities. To arrange your event with us, contact us by phone on 0131 556 6171, via our contact form or email us at eat@vittoriarestaurant.com.